With Avengers: Inifity War finally wrapped up and blowing everyone’s tiny little minds in cinemas across the world we can now look to the future, more specifically the upcoming Captain Marvel film. While Ant-Man & The Wasp should keep MCU fans satisfied in August, it looks like 2019 will be the year of Carol Danvers, aka Captain Marvel, as the character is gearing up for her first solo film and a pivotal role in the follow up to Inifity War. With Academy-award-winning actress Brie Larson set to star as the main character in Marvel‘s first female-led superhero film, expectations are high. According to Marvel Studios head honcho, Kevin Feige, she’s the most powerful Avenger yet – yup, she can even go toe-to-toe with the Hulk. It’s very important to us that all of our heroes do not become silhouette-perfect cutout icons. All of the Marvel characters have flaws to them, all of them have a deep humanity to them. It’s important, then, to counterbalance that with someone who feels real. She needs to have a humanity to tap into, and Brie can do that. While it seems well overdue for Marvel to introduce their first female-led superhero film (Warner Bros. and DC Comics beat them on that front with the seminal Wonder Woman), Feige pointed out the scheduling of their movies have a purpose. 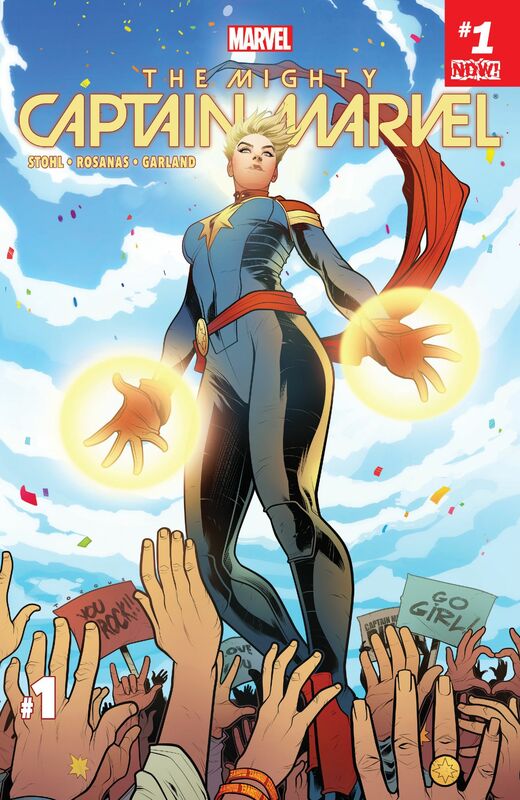 With Captain Marvel there’s so much potential in the comics and there have been so many incarnations of her powers and the characters who’ve had that mantle that we’ve been focusing in on exactly how do we tell her origin. How does it fit into the cosmic side of our universe? How does it fit into what we’re doing with the next Avengers movies? So really, that’s what’s been delaying that particular announcement. For those who haven’t read the comics, Captain Marvel is one of the strongest superheroes in the main Marvel comics universe (616) – she’s basically like Captain America but with ten times his power level thanks to her body being infused with Alien (Kree) DNA. As well as having super strength, stamina, durability, agility, reflexes and flight, she also has the ability to absorb and project energy. On top of this, Captain Marvel has an extensive military background as an ace combat pilot, so she’s ready to scrap. The upcoming Captain Marvel film has also become a catalyst for progression in the MCU because at last, founding Avenger Black Widow (played by Scarlett Johansson), will be getting her own standalone film. The announcement was made in January and according to Variety writer Jac Schaeffer will be penning the script. Marvel is hoping to get the film released for 2020. As well as Larson, we’ll see the return of two Marvel fan favourites, Nick Fury and Phil Coulson, played by a returning Samuel L. Jackson and Clark Gregg. The film will also see Lee Pace return to his role of Ronan The Accuser from the Guardians Of The Galaxy, Jude Law, Gemma Chan and Djimon Hounsou (who was also in GotG as Korath). Captian Marvel will be released in cinemas across the UK on March 8, 2019.